Incumbent Emmerson Mnangagwa has won Zimbabwe's presidential election, according to results read out moments ago by the country's electoral commission. The backstory: The election, the first since the end of Robert Mugabe's 38-year reign, had seemed to represent a historic opportunity for the southern African country. It has thus far yielded only anger, fear and violence. The opposition, led by 40-year-old Nelson Chamisa, has already rejected the results, which showed him securing 44% to Mnangagwa's 51%. 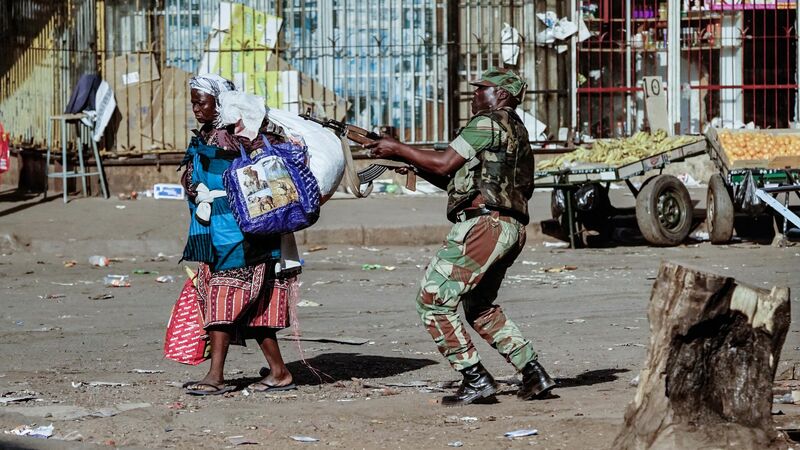 "On Wednesday, after electoral officials announced that Mnangagwa's ruling ZANU-PF party won most of the parliamentary vote, opposition supporters who claim Monday's poll was rigged took to the streets, burning tires and throwing stones before riot police and the army intervened. Witnesses say soldiers fired live bullets." "Chamisa claimed victory before the release of official results. Meanwhile, Mnangagwa said he was in talks with the opposition to find ways to defuse the situation." "Down one fork, if a clear winner emerges in a poll deemed to pass muster, Zimbabwe could shed its pariah status and be reinstated into the global community. That could mean a restructuring of debt arrears and a potential flood of investment into one of Africa’s most promising economies." Down the other, "lies a progressive falling out with western capitals — although not necessarily with China. Zimbabwe would then hunker back down into an isolationist sulk." History has loomed over this election — decades of one-party rule, Mnangagwa's role in enforcing Mugabe's repression, ZANU-PF's history of rigging elections. After the most open election Zimbabwe has seen in decades, it remains unclear how much has changed.